The post to the Samsung Mobile Twitter account confirms the date for the 'Unpacked' event, which will be held just before Mobile World Congress, the Barcelona-based trade show. DJ Koh, president of Samsung's mobile arm, previously revealed the firm's first flagship smartphone launch would take place around the time of MWC, but didn't give an exact date for the unveiling. The 16-second video and the accompanying text in the tweet give minor clues as to what to expect from the launch of the device, believed to be named the "Galaxy S9." 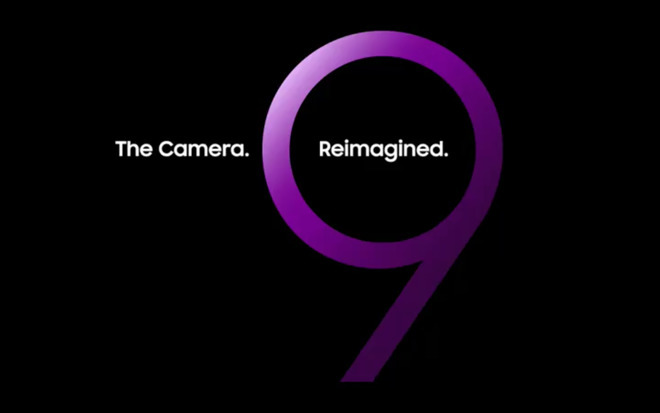 The video itself features the number nine, strongly suggesting Samsung will continue its numerical series, while the words "The Camera. Reimagined." point to photography-related changes in the upcoming device. A leak from January 18 depicted what is believed to be part of the packaging for the "Galaxy S9," describing the rear camera as having a "Super Speed Dual Pixel 12MP" sensor with optical image stabilization and two apertures: F1.5 and F2.4. Though this does not indicate the use of a dual camera setup on the rear, the presence of two aperture figures could mean that the one sensor and lens arrangement will be able to switch between the two aperture sizes. The listings also mention a "Super Slow-mo" function, though without any description of how it would compare to existing slow motion video functions in other modern smartphones. On the front is an 8-megapixel autofocus "Selfie Camera," but again it isn't known if this is a typical front-facing camera with a slight rebranding or one providing new portrait-related features. Other specifications the "Samsung S9" is expected to have include storage starting from 64 gigabytes and growing to a rumored 512 gigabytes, 4 gigabytes of memory, wireless charging, AKG-tuned stereo speakers and earphones, and either a Qualcomm Snapdragon SDM845 or Samsung's own Exynos 9810 processor. The packaging also indicated the use of an iris scanner for security, but with no mention of a fingerprint reader as a secondary authentication method. While Samsung has tried out alternative means to check the identity of the user in the past, this apparent removal of a fingerprint reader echoes Apple's decision to leave Touch ID off the iPhone X, in favor of using Face ID.